I LOVE fast easy recipes and BONUS is if they are healthy. Edamame is a favorite for us so if dinner maybe running late or we are just looking for a snack I can easily do the recipe below in under 5 minutes! 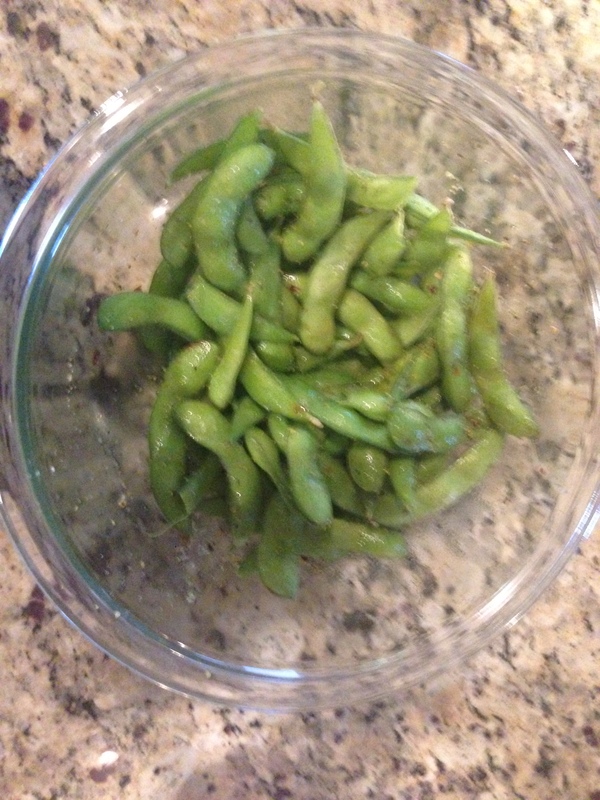 1 bag Frozen Edamame- I like Birds Eye. Follow bags directions on bag. Once cooked empty into large bowl. Drizzle a little olive oil and then sprinkle garlic and pepper seasoning, salt and crushed red pepper. I like to add a little, mix and then add more until it reaches the flavor I like. Usually I just have to do that twice… especially with the red pepper it can get a little too spicy for my taste if not! What is your favorite fast, easy and healthy snack recipe?